a heavier analog of titanium and zirconium. an element between 71 and 73.
before they published their report. said it should resemble zirconium. and named it after the Latin for Copenhagen. 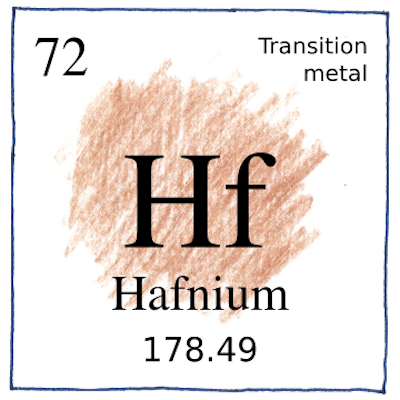 hafnium-178m2 is more dangerous than TNT. of automobiles and the second amendment combined. Rhenium and hafnium were the last two stable elements to be discovered. It might be that we have not yet invented the best uses for these exotic elements.